Dr. Kimberly Muhlenkamp-Wermert is from the small town of Coldwater, Ohio. She grew up on a dairy farm and is one of eight children. Dr. Kim has been a lifelong patient of chiropractic care beginning with a case of torticollis at 6 months of age. Her mother brought her to the chiropractor after noticing that she could not hold her head up. After a few visits to the chiropractor, Dr. Kim was as good as new. Dr. Kim attended Chiropractic school at Life University in Marietta, Georgia. After graduating valedictorian, Dr. Kim moved to Nashville, Tennessee and joined Green Hills Chiropractic Clinic. At Green Hills, Dr Kim worked with the expertise of female doctors on the Tennessee state Chiropractic Board and the President of the Tennessee Chiropractic Association. While it was difficult for her to leave Nashville, with her love of country music and surrounded by great leadership, moving closer to family drove her to open her practice in Mason, Ohio. 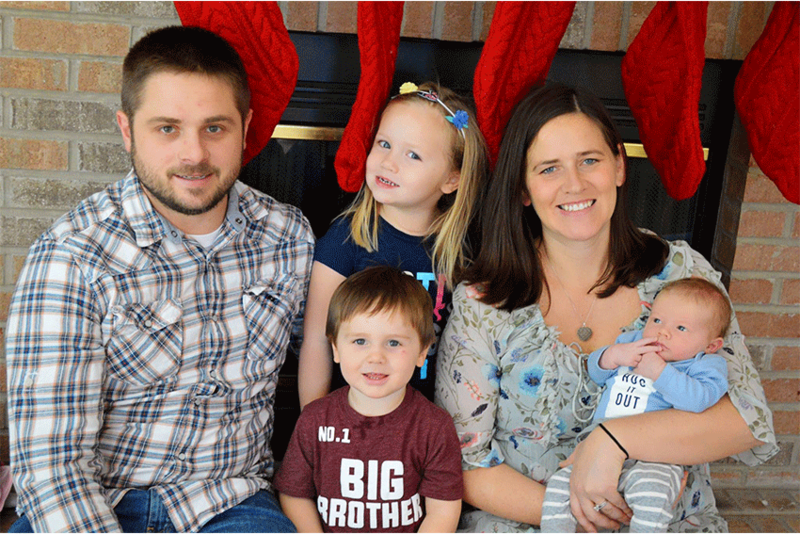 Dr. Kim resides in Northern Cincinnati with her husband, Randy, and her 3 children, Grace, Vincent and Everett. Dr. Kim received her Bachelor of Science in Biomedical Engineering from the University of Toledo. She interned at Depuy Orthopedics where she designed custom surgical instruments used in knee and hip replacement surgery. While seeing a rewarding future in her career, she realized that she was more interested in a more preventative healthcare field. Dr. Kim wanted to be able to help people before they got to the point where they needed joint replacement surgery. The best way for Dr. Kim to achieve this was through chiropractic. Erica joined the Live Well Chiropractic team in June 2015. She has been in medical administration/billing and coding since 2010. She thoroughly enjoys what she does when it comes to being able to help patients receive care and working between them and insurance companies. "As a patient of chiropractic, I know the importance of regular care. Avoid drugs and medication, give your body the opportunity to heal through corrective care. It's amazing what your spine is capable of." Outside of work, she enjoys spending time with her son, Brycen, shopping, and creating craft projects. 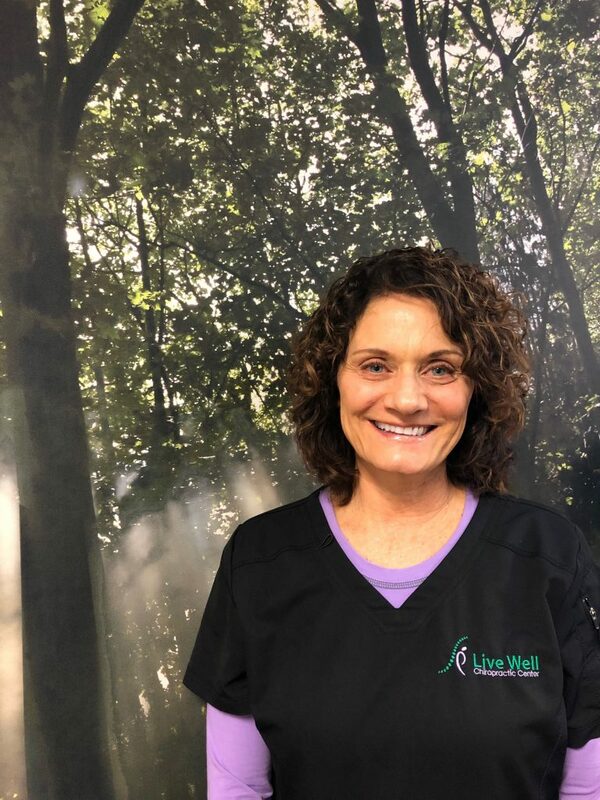 Dee joined the Live Well Chiropractic team in September 2018. Dee is one of the first smiling faces you see as you walk in the door. She was formally a massage therapist for 10 years and worked as a veterinary assistant at a veterinary clinic. She enjoys making connections with each patient, no matter what age. "Healthy habits include good nutrition, exercise, and chiropractic care." 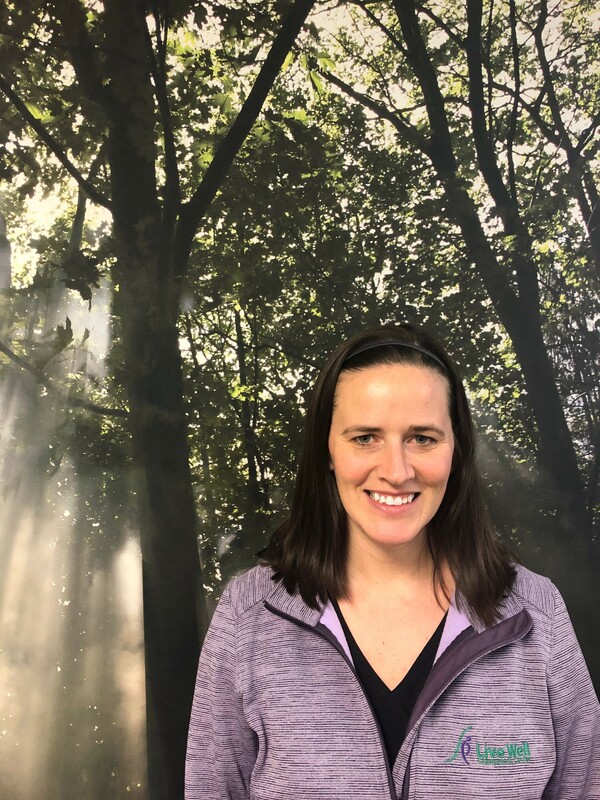 Outside of work, she enjoys hiking and spending time outdoors with her husband, Matt, her kids, grand kids, and pets. 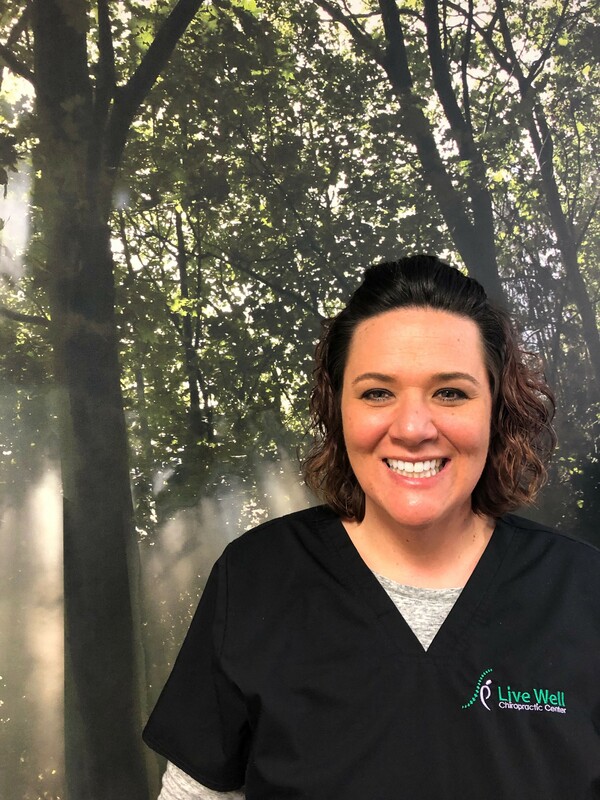 Ally joined the Live Well Chiropractic team in July 2018. She is currently enrolled at Sinclair Community College to be a Physical Therapy Assistant. 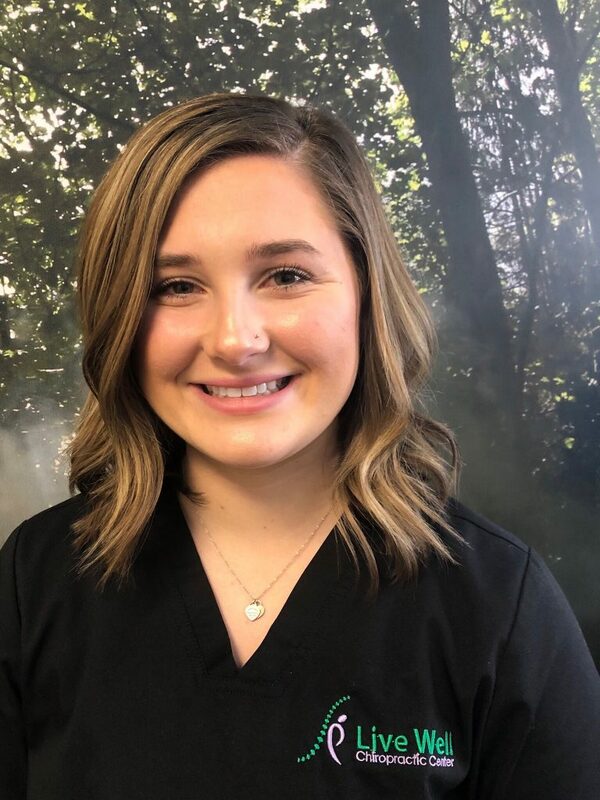 Ally was first introduced to chiropractic in March of 2018, and she doesn't know how she lived without it! She thoroughly enjoys helping each patient progress in their care. Outside of work, she enjoys being with family and friends.